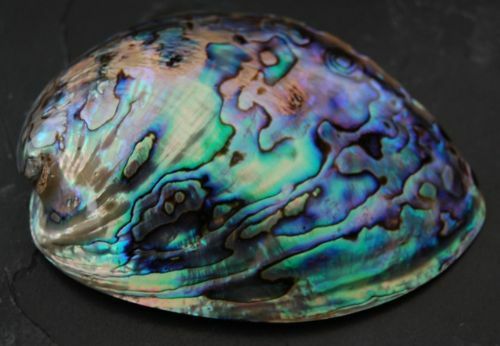 Paua, the Maori word for abalone, is the brightest of all abalone species found in the world. It is a univalve shellfish found 1m - 10m deep around New Zealand coastal waters. Each paua has unique patterns in a range of colours from purple to gold, blue to pink. Our paua shells are all approximately 5.5" - 6" in length.